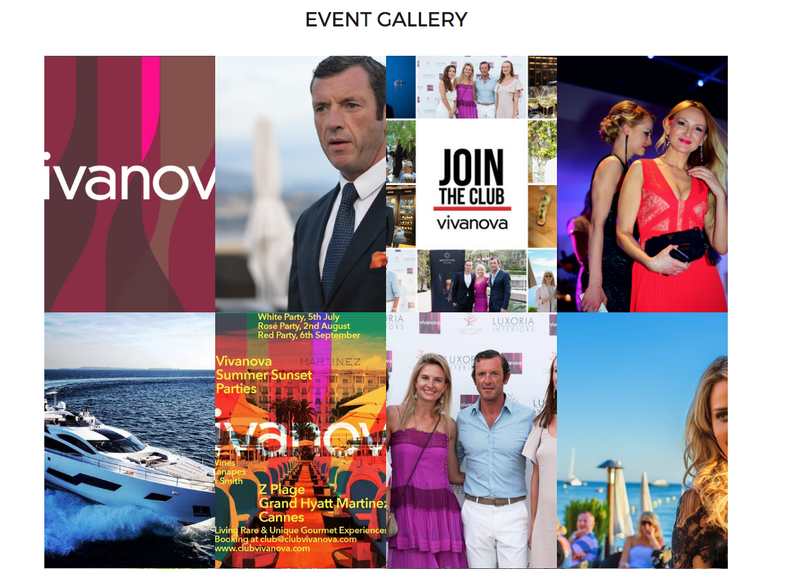 Ahead of the Club Vivanova Luxury Gala 2017 on 11th March Relevance is proud to announce the delivery of a redesigned website to Club Vivanova, a leading networking club for professionals in luxury industries. In addition to the enhanced website, Relevance created a sister website for the upcoming gala to increase awareness of the event and to boost ticket sales. Relevance will be attending the Club Vivanova luxury gala 2017 as a VIP partner. Characterised by cleanliness, functionality and a stylish design, the improved Club Vivanova website is designed precisely to be a reflection of the Club Vivanova brand. The redesign is extensive: large hero images are now employed to depict scenes from previous networking events, in order to attract prospective members; client testimonials feature underneath to iterate the high quality of the events; and an extensive gallery of images at the bottom of the page demonstrate the club’s allure. Each facet of the redesigned website has been designed with user-experience in mind: visitors are immediately given insight into these exclusive events, the website’s menu is simplistic and accessible, and the cleanliness of the design makes the entire website easily navigatable. The layout is sophisticated and sharp, much like the Club Vivanova brand itself. The website’s new calendar outlines the upcoming events with clarity. On the membership page, calls to actions are illustrated on buttons to encourage prospective members to sign up. Both the partner and client testimonials pages are designed to emphasise the sense of professionalism with which Bradley Mitton and Club Vivanova conduct business. Page banners are used throughout to combine the visual with the written. Relevance is an award-winning, full-service digital marketing company, based in the heart of Monaco and with offices in London. Through strategy, content, design and technology, Relevance delivers complete digital campaigns to improve brand exposure, increase website traffic and to convert more visitors. We specialise in digital marketing for luxury industries, from yachting to real estate, aviation, automobiles, fashion, gold, travel and financial services. Whether in search of a new, optimised website or ongoing SEO work, Relevance can assist with your digital requirements. To find out more about the services offered by Relevance, or to find out how we can assist your business, please contact a member of the team.